This is a really useful accessory for the IP65 charger. Professional and tidy, in one quick grab you’re ready to go. 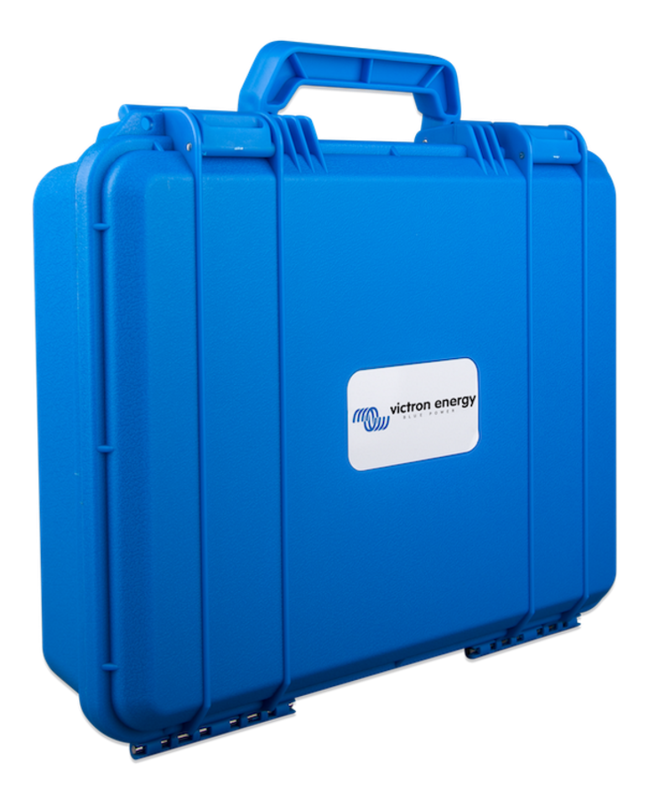 The carry case for the IP65 charger is one of those indispensable accessories. It protects your charger from the knocks and bangs of workshop life. It allows tidy storage, too – cables never get tangled …or lost; everything is in one place; and if you use an IP65 charger in your work – it gives a professional appearance. This is what the carry case looks like when loaded. (Just to be clear when you order the case, it doesn’t come with the charger or accessories!) The padded compartment will safely carry the charger, input and output cables; plus the cables for both battery-connection options – the battery clamps (crocodile clips) and the M8 eyelet connectors. When it is snapped shut the case has the following dimensions: Height 295mm (11 ½”) / Width 350mm (14″) / Depth 105mm (4″). 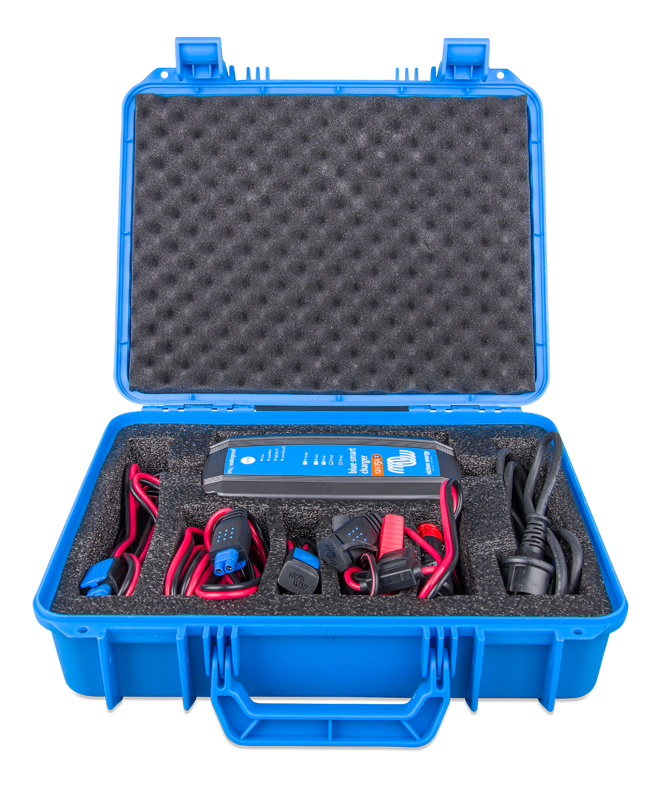 Let’s just remind ourselves of the main features of the Blue Smart IP65 Charger: it’s available in both 120V and 230V models; and with outputs of both 12VDC and 24VDC. The 12V chargers are available with the following charge currents: 4/5/7/10/15 amps. The 24V chargers are available with a 5, or 8 amp charge capability. Bluetooth is on board – allowing you to set-up and monitor the charger straight from your phone, tablet or smart device. 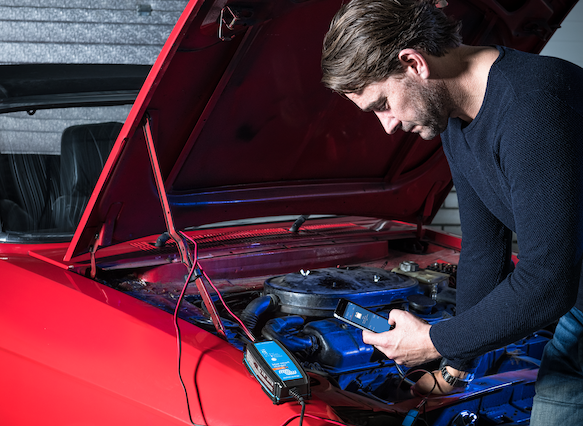 Home users, car, van and boat hobbyists, mechanics, and mobile electrical installers will appreciate the convenience of the IP65 Charger – carry case. It will protect your charger from damage throughout its long five-year warranty …and beyond.